Jumbo Dragon Folding Knife | BUDK.com - Knives & Swords At The Lowest Prices! 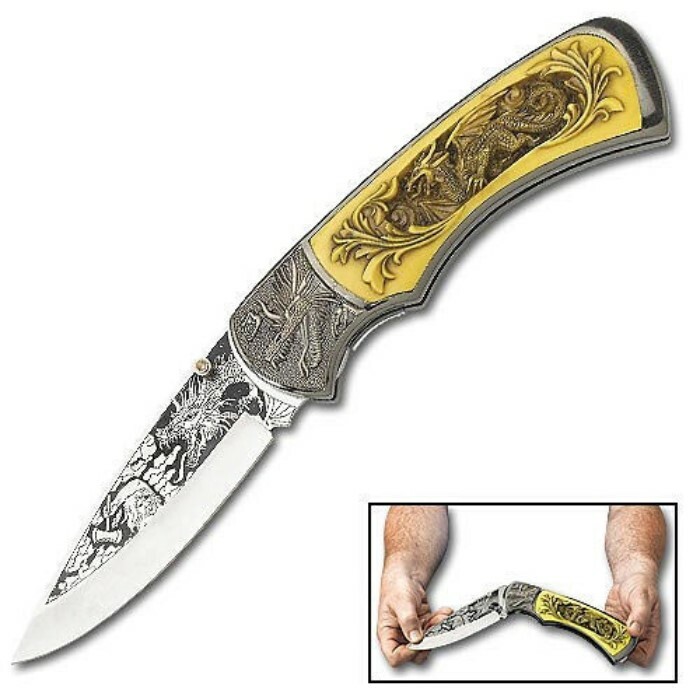 Each massive folding knife is equipped with a 5 1/2" stainless steel blade designed with intricate blade etchings coordinating with the scene carved into each handle. Includes a hardwood table top display stand. Each knife is 13" overall.